After the deadline for candidates was extended by 12 hours, 136 students declared their candidacy for the Undergraduate Council on Saturday. 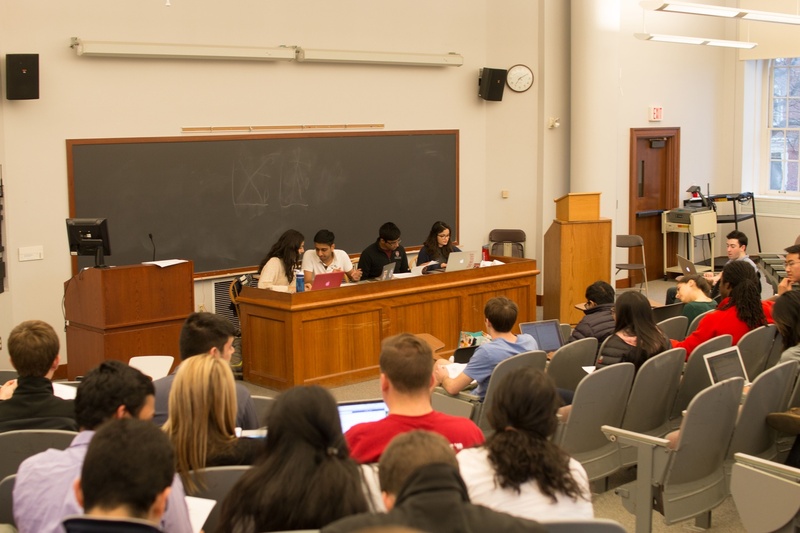 At the Undergraduate Council’s general meeting on April 26, representatives discussed the Evaluation Task Force’s reports of its Student Faculty Committee, Freshman Class Committee, and calendar application, Ventfull. As usual, the number of freshman candidates outpaced that of upperclassman candidates, with 74 members of the Class of 2019 intending to campaign for 12 available positions. In contrast, the lack of upperclassmen pursuing positions on the UC prompted the Council to extend the deadline to declare by 12 hours. Even with the extension and pleas for candidates, two Houses, Currier and Dunster, remain non-competitive this election cycle. The UC’s campaign and voting period will commence on Tuesday at noon and end at noon on Friday.